The 6th X-Men film (and 2nd of Wolverine’s solo adventures) follows the adamantium immortal to Japan as he visits a dying friend from the past. After the events of 2006’s “X-Men: The Last Stand”, Logan (Hugh Jackman) is living off the land and searching for peace after a lifetime of blood. When Yukio (Rila Fukushima) finds him and tells him a Japanese friend from WWII is near death and wishes to say goodbye, Logan travels to Tokyo. Once there, Logan’s friend, Yashida (Hal Yamanouchi), offers to give him what no one else can: the release of death. “The Wolverine” offers audiences the opportunity to see the impact of one mutant on a human environment unlike any previous X-Men film. To put it into perspective, there are less mutants (good or evil) in this film than there were on the original X-Men team (good guys only) in the 2000 film. Instead of sizzling spectacle, “The Wolverine” is a character study of Logan. It allows us to see the struggles he faces as an old man in a young man’s body. This is something I personally wanted much more of in his first solo film. Originally intended to be directed by Darren Aronofsky, James Mangold (“3:10 to Yuma”) accepted the baton and created a film that satisfies the requirements for a summer blockbuster and gives the audience a little more to chew on than the average superhero film. The special effects here are greatly improved from “X-Men Origins: Wolverine” despite the fact that this film’s budget is significantly lower than its predecessor. This is what happens when you don’t pay Ryan Reynolds to film 2 scenes and then kill him offscreen. Instead of the worst CGI of the 21st century, we get a really cool train sequence. Speaking of that train sequence, it is one of many signs in “The Wolverine” that make me want to classify it as a western. There are heavy references to Logan as a ronin (or “rogue samurai”) and the old samurai films are essentially the same as our westerns in the U.S. There is a lone warrior who has lived a hard life and sticks to a certain moral code, etc. Since I’m starving for more westerns to be made these days, it was an aspect of the film that I really enjoyed. The first 2/3 of “The Wolverine” are very enjoyable but there are a few problems with its finale that left a bad taste in my mouth. First, the villain is both entirely predictable and completely underwhelming. Svetlana Khodchenkova (a name I will never properly pronounce) plays Viper, the film’s lone mutant villain, and while she gives a fair performance with the material she’s been provided, her character leaves a little to be desired out of a superhero villain. There is also another villain who is (I guess) supposed to be a surprise, but it’s been telegraphed the whole film. If you’ve seen the trailer, you probably remember seeing the setup for a really cool fight between an army of ninjas. You might be disappointed in this scene, especially since the majority of them completely disappear with 15 minutes left in the movie. 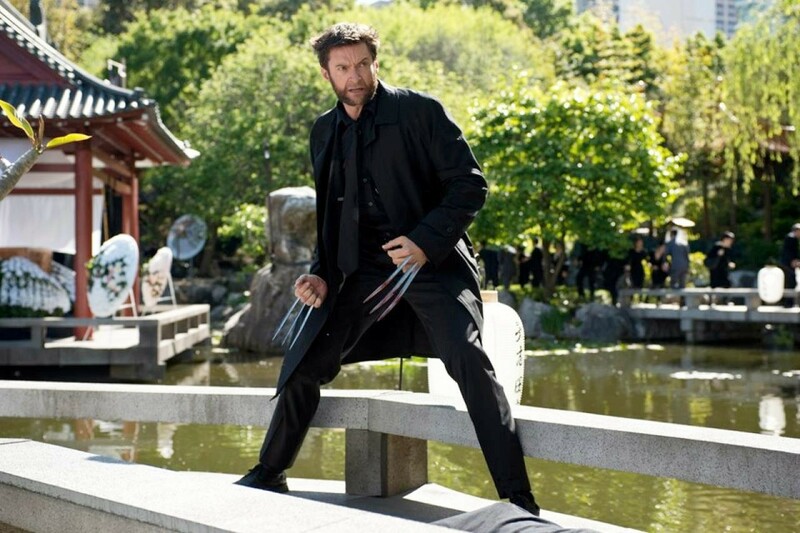 “The Wolverine” is a non-traditional superhero film with some meat to its characters and story. Although the final act doesn’t quite meet the bar raised by the rest of the film, it’s a good late addition to the summer blockbuster season. By the way, remember to stay in your seat for the mid-credit scene you will be talking about as you leave the theater. One of the greatest tragedies of modern cinema is how little Hollywood believes in the Western. Much like the expansion of the railroad killing off the best parts of the Wild West, today’s world of mega-blockbusters has put the genre, often mis-labeled as “too slow”, on a dusty, old shelf. Sadly I don’t think “The Lone Ranger” will be doing much to revive one of my favorite genres. On top of what I’ll cover in my review, the film has only made $75 million in its first 2 weeks. With conservative numbers putting the production budget around $215 million, the film could end up costing Disney hundreds (with an ‘s’) of millions of dollars. But enough numbers, let’s talk about the film itself. “The Lone Ranger” tells the stories of Tanto (Johnny Depp) and John Reid (Armie Hammer playing the titular character) and how each man seeks for justice and revenge in the Old West. Though the film may not carry his name, Tanto is the main character of the film. He is the one telling the story, he is the heart of the film and he is the one being played by Johnny Depp. Clearly the Disney executives’ faith in Hammer’s star power is on a short leash as they make him a rather bland hero in a genre known for great heroes. After coming out west to bring order to his hometown, District Attorney John Reid is deputized by his brother (James Badge Dale in yet another shamefully small role) to track down the criminal Butch Cavendish (a disgustingly evil William Fichtner) and his gang. What happens instead is that the Reid brothers and their posse are killed in an ambush. John Reid miraculously survives the attack and, as Tanto puts it, is resurrected as a “spirit walker”. This new label gives Reid seemingly perfect marksmanship and the ability to not die, both of which seriously damage the film in my opinion. Reid and Tanto meet by chance at the beginning of the film, but they quickly discover that they are tracking the same man who hurt people they care about. With Tanto being a skilled fighter and Reid becoming a supernaturally-enhanced gunslinger, the audience would expect for the film to become a roaring adventure seeking justice once Hammer becomes the Lone Ranger. However the rest of the film moves at a snail’s pace once the mask is put on. Part of what makes “The Lone Ranger” feel 3 hours long is a series of scenes involving Tanto telling his tales to a young boy in the 20th century. They serve no purpose other than giving Depp a few extra scenes to make Tanto look even more like Jack Sparrow, but add a solid 15 minutes to the film. What really hurts the film is that it’s not sure if it wants to be a true Western or just “Pirates of the Caribbean” set in the West. There are funny scenes that look like they belong in a family-friendly adventure film and then there are scenes where the villain eats a man’s heart. This back-and-forth makes the film feel like it’s several different scripts mashed together. Surprise: the film went through a number of re-writes during early production and even while they were shooting it. The problems in “The Lone Ranger” appear often and are a cancer to the overall product, but there are also some good things. Johnny Depp, despite being too reminiscent of his “Pirates” character, delivers a great performance as Tanto. There are some painful parts to his story and Depp has a way of really displaying the character’s lifetime of suffering in addition to the more Sparrow-like comedic scenes. Fichtner’s villain is also great as he really feels like a proper Western villain. His performance gives the film a lot of credibility. Although production costs really hurt the film financially, director Gore Verbinski made the artistic decision to recreate trains from the time period to give the film a more visually-satifying feel. Since a large portion of the film takes place on said trains, they were a nice, albeit expensive, touch. 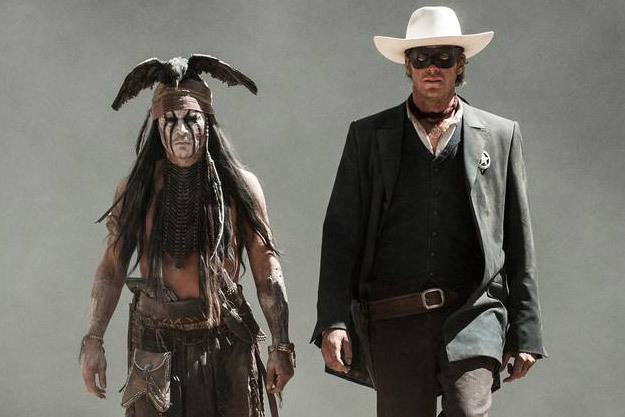 “The Lone Ranger” sincerely tries at times to be a proper Western, but the excessive use of CGI and tired humor make an already long film unworthy of sticking around for. My next review will be “Pacific Rim”, so come back this weekend to see what I thought. Who says women can’t be funny? After the success of 2011’s “Bridesmaids”, it seemed like women had finally broken through the glass ceiling of comedy. The film was both critically praised and a box office smash, but the past two years have only produced one other film (“Pitch Perfect”) to similar success. After “The Heat” buried its opening weekend competition (“White House Down”) last week, better make that two films. “The Heat” uses the old formula of buddy cops who couldn’t possibly be more different from each other to show the world that women can actually play with the big boys. After receiving the assignment of tracking down a drug kingpin, strictly-by-the-book FBI agent Ashburn (Sandra Bullock) is forced to team up with a Boston detective (Melissa McCarthy) who violates pretty much every department regulation there is…during her lunch break. The story isn’t terribly original, but the comedic skills of Bullock and McCarthy give a tired concept new life. I’m personally not a fan of the “F-words=funny” school of comedy, but there’s more to McCarthy’s portrayal of the foul-mouthed detective than just her potty mouth. Both women have great comedic timing, making their back and forth banter that much more enjoyable. Sandra Bullock has been known more recently for her more dramatic roles in “Extremely Loud & Incredibly Close” and “The Blind Side”, but here she gets to re-discover her funny bone that hasn’t been seen much since “Miss Congeniality”. While both women are great, Bullock gives the better, more subtle, performance that is equally funny without skimming the waters of least common denominator laughs. One of the best things about “The Heat” is the incredible supporting cast of people who deserve to be in more films. Michael Rapaport and Marlon Wayans are known for their work in the early-00’s, but comedians like Bill Burr and Michael McDonald and SNL alum Jane I-Kinda-Thought-She-Was-Dead Curtin also play substantial parts. As funny as the film is, it’s crazy that this is the first script by writer Katie Dippold. Prior to her work here, Dippold is only known as a writer from MADtv and a few episodes of Parks and Recreation. Although a lot of what makes the film work is the acting between McCarthy and Bullock, it’s a pretty impressive job for someone who’s never written a feature film. The only negatives I can really provide for this film is, as previously stated, the story is a little tame. While “Bridesmaids” was more ground-breaking and original, “The Heat” essentially claims that women can star in good films where there is not a romantic sub-plot to be found. While there doesn’t have to be a crazy majority of female films just for the sake of having them, it would be alright if there was more than one film a month that centered on a woman. I hope to write a review for “The Lone Ranger” over the weekend, so feel free to come back soon.